New Zealanders interested in encouraging the growth of broadband might have expected some concrete suggestions by now from the New Zealand Institute (NZI) on how to make it happen; but instead the institute's latest report leaves us with a cliffhanger of Friday soap-opera proportions. The report finishes with a set of questions: "What is required to create incentives for private investors to invest significantly in fiber infrastructure? How can the existing constraints on investment be overcome? What is the role of the government in creating a regulatory environment that is conducive to this investment? What investment vehicle needs to be built? What specific steps should be taken over the next 12 months to commence the transition [to accelerate fiber deployment]?" But these questions will be left unanswered for another few weeks, while the institute puts the finishing touches on what is now Part 3 of its study. NZI planned that its initial context-setting paper, published last year, would be followed by a two-parter. The first part tackled questions such as how much broadband should matter to New Zealand and whether we're evolving quickly enough to provide capability in a reasonable time (the answers later emerged as "very much" and "not nearly quickly enough"). The second part was to have given the institute's ideas on the sequence of actions needed to encourage fiber rollout and likely costings. What emerged this month was a different Part 2. In view of local loop unbundling and Telecom operational separation plans and, particularly, Telecom's announcement of a major fiber rollout to curbside cabinets, the institute decided to pause and consider the significance of these announcements, says institute chief executive David Skilling. Despite the major changes and Telecom's $1.4 billion (US$1.1 billion) fiber rollout, NZI is pessimistic on two fronts: fiber is still not rolling out fast enough and we are becoming too dependent on Telecom for the answer. 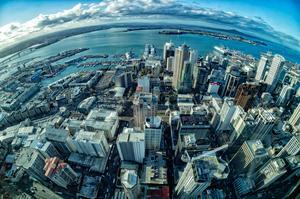 An appropriate schedule would have fiber to 75% of premises in NZ by about 2018, says NZI. On present plans -- even with the Telecom deployment scheduled over the next four or five years -- we will still be only halfway to that goal by 2012, it says. Telecom's shareholders, however, are not convinced that a big infrastructure investment is the way to go, Skilling says. The returns from an infrastructure investment are safe but lower than the more risky areas like retail and wholesale services. Telecom is a complex company offering "a mix of investment classes" and its shareholders reflect that. In an atmosphere of regulatory uncertainty "there is nothing to be lost by [Telecom] waiting, because no-one else is building fiber infrastructure," he says. The preferred way ahead will involve a change in regulation to "seeing fiber as a stand-alone asset class," which will encourage specialized investors who look for payback in the longer term, Skilling says. NZI sees private investment as the solution, but government has a role in creating the incentives. The likely facilitators will be a combination of government funding and regulatory encouragement of competition in fiber building. 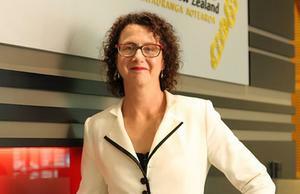 There are "similarities and differences" between NZI's vision and Peter Macaulay's fiber Fund. But Skilling is withholding the detail of the institute's proposal. That will have to wait for the publication of Part 3 of the report.